When you’re replacing your appliances– either because your old appliance broke down, or you’re remodeling– it’s a good time to make an appliance upgrade to take advantage of new, advanced features and improvements to dishwashers, refrigerators, ranges, washers and dryers. If you haven’t shopped for a new appliance in a while, be prepared to be amazed at the new features now available. 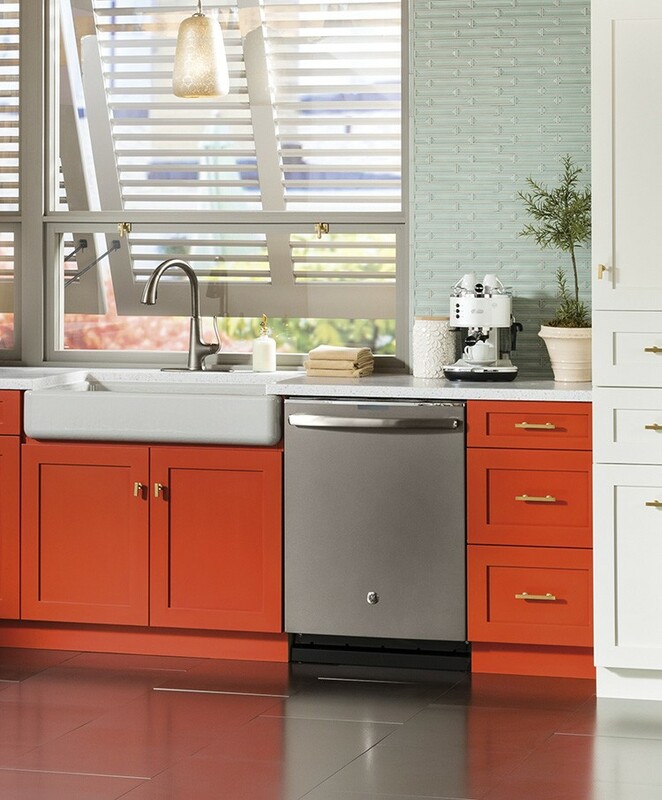 Here are the top appliance upgrades to consider to add convenience, save time and save money. 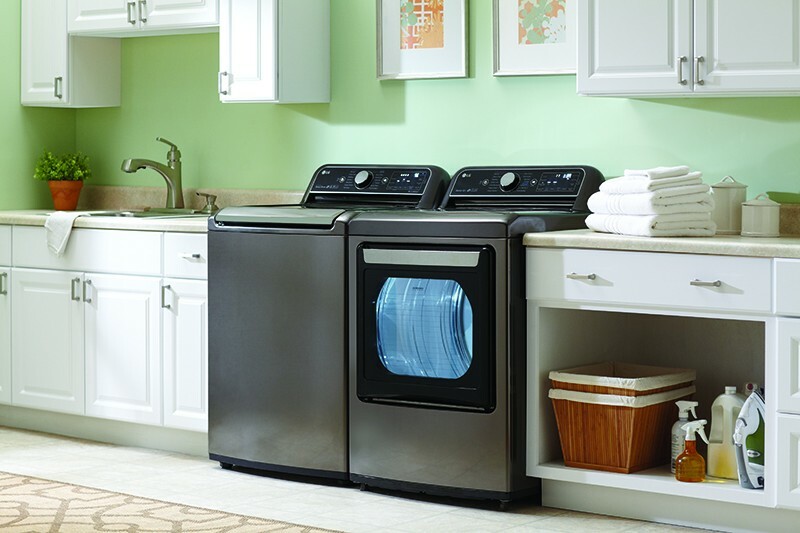 When you can do more laundry with each load, you can save a significant amount of time and energy. 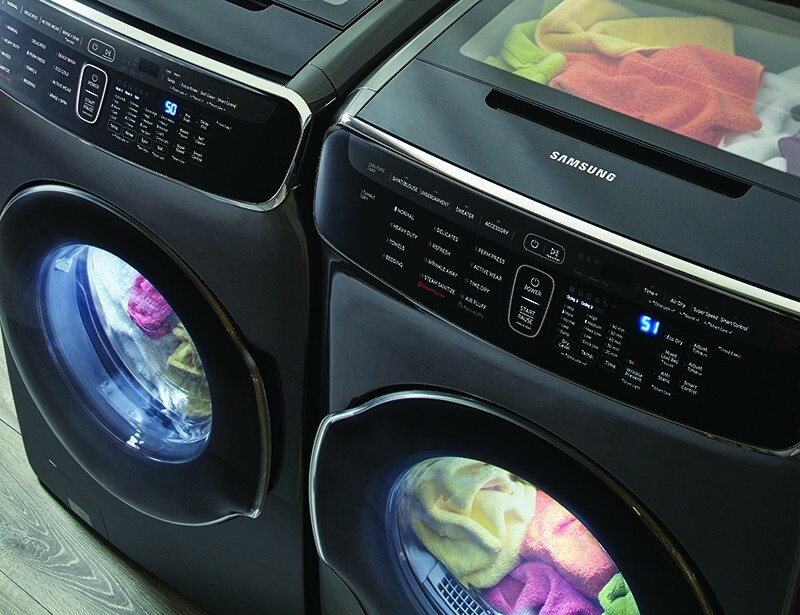 For the ultimate in time-saving tech, consider a unit featuring dual-wash technology. 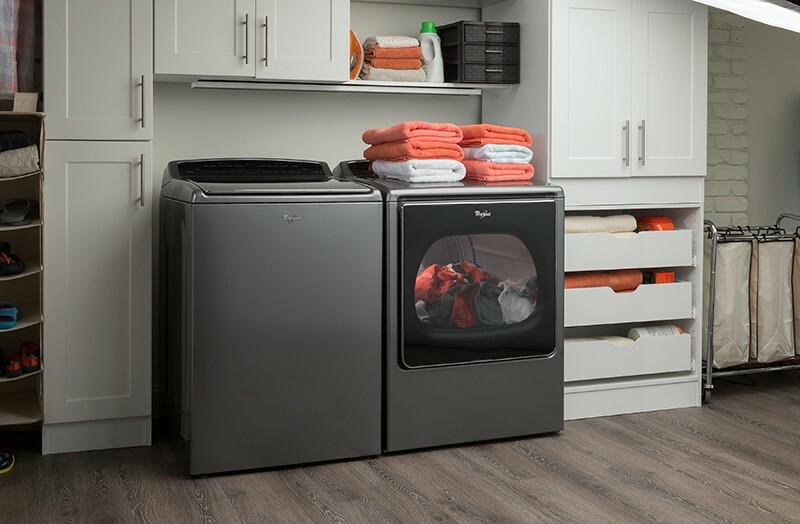 With two totally independent washers in one, you can clean your delicate items at the same time as your regular laundry, essentially doing twice the loads in the same amount of time. Talk about a premium appliance upgrade. 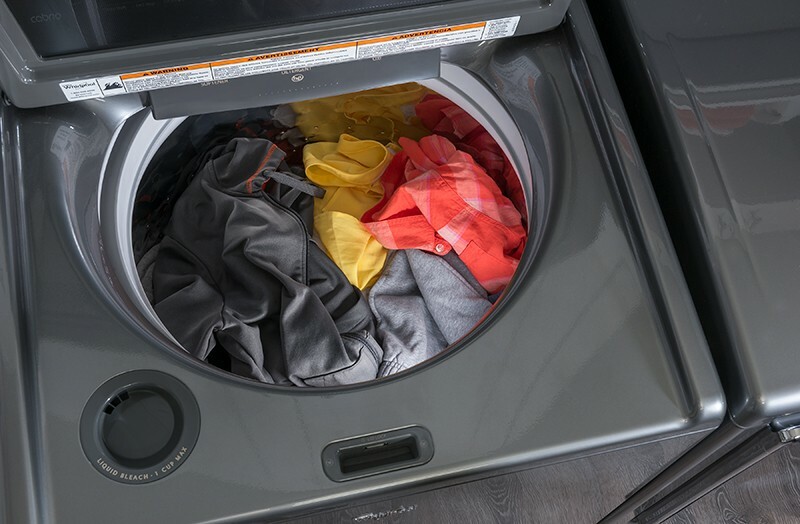 Dryers featuring moisture sensors can determine when clothes are dry far better than dryers with thermometers alone. This saves energy and is kinder to your clothes. For most of us, ironing is not our idea of a good time. Dryers with steam technology allow you to toss in a wrinkled garment and, in a just few minutes, grab a refreshed, ready-to-wear item. As a bonus, steam settings can safely sanitize non-washable items and give gently used items a quick odor-killing refresh. Traditional ranges cook by thermal conduction, either from a flame or electrical heating element. 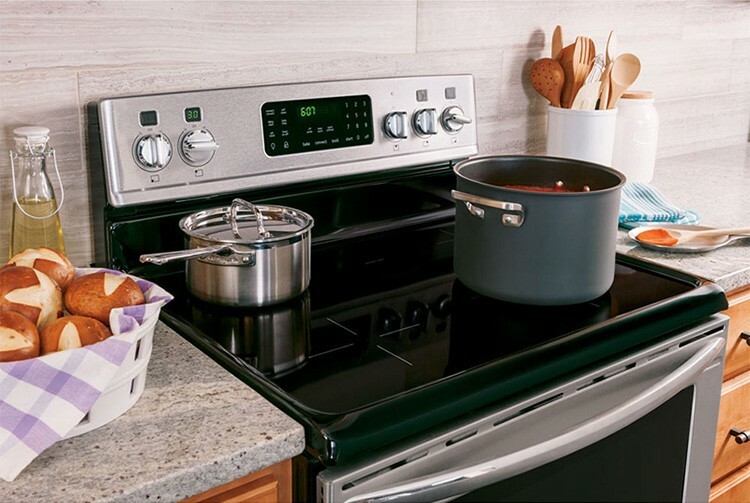 Ranges that use magnetic induction heat pots and pans directly, giving you the power to boil water faster, get pans stir-fry ready sooner, and save major time during the dinner rush. If you’re regularly cooking for guests or even an average-sized family, a fifth burner can really come in handy. 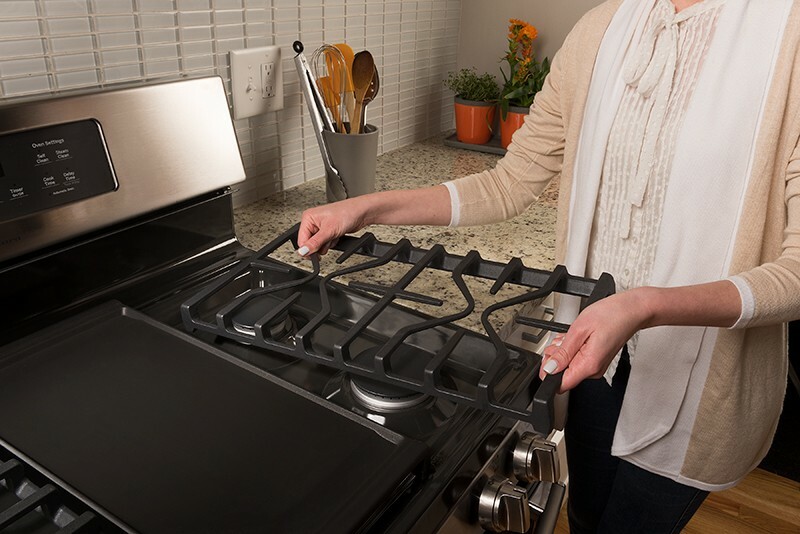 Even when you’re not cooking a big meal, fifth burners often come with an integrated griddle, allowing you to whip up some quick eggs or a grilled cheese without pulling out an unwieldy appliance. Refrigerator fourth drawers are an awesome kitchen storage solution. They work well as a special snack drawer for kids. Fourth drawers also provide additional space to organize food containers for the whole week, making them a meal prepper’s best friend. 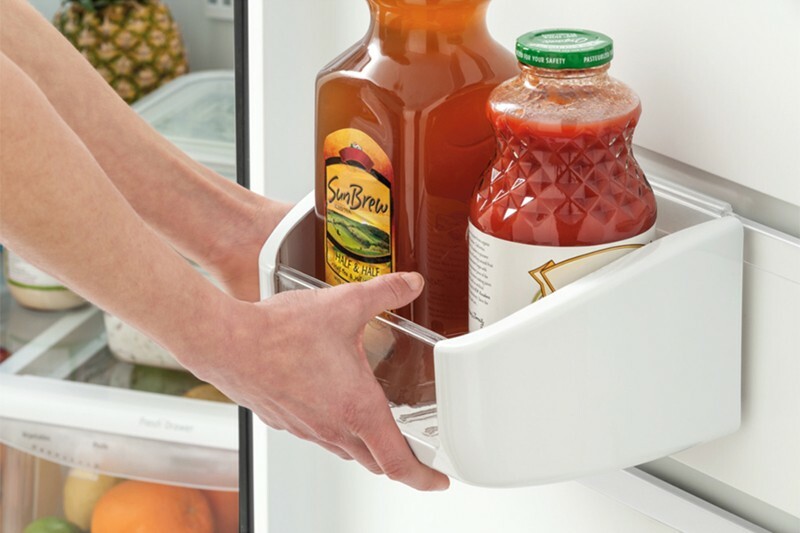 If you’re sick of your condiments sliding all over the place or wishing that you could fit one more gallon of orange juice into your fridge, this might be the upgrade for you. Adjustable in-door storage allows you to arrange and rearrange in-door bins to fit your family’s needs. Racks that contain thicker-coated wire will hold up well over time, saving you from costly replacements and repairs. 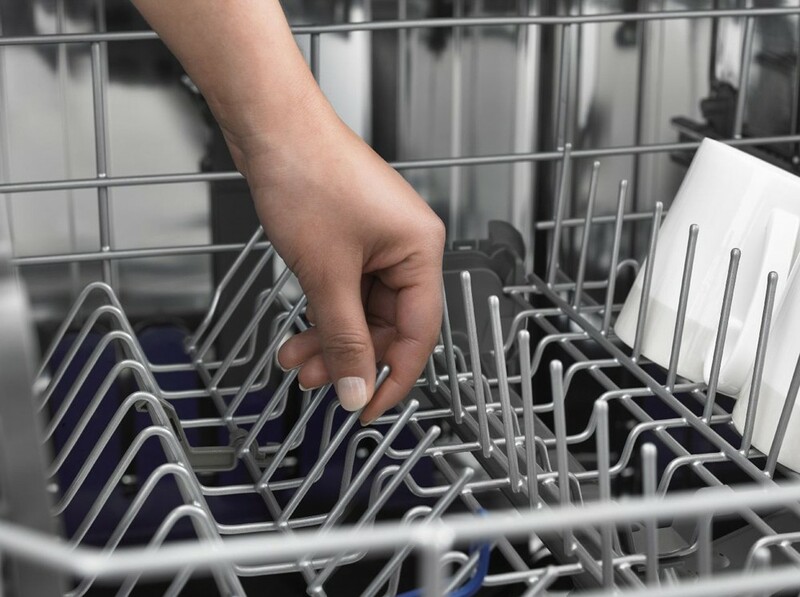 Adjustable racks are also a plus and will help deter costly dishwasher damage. There’s a reason why whisper-quiet technology is one of the most popular dishwasher upgrades. Loud appliances can ruin your favorite TV show, or even worse, your kid’s much-needed nap time. Appliance noise levels are measured in decibels, or dBA. For context, a whisper has a dBA of 30, while a normal conversation has a dBA of 60. Dishwashers are considered quiet if they have a dBA under 45, but can go as low as 38. Those are some of the top appliance upgrades than can make a big difference in your life. Consider them when you’re planning to purchase new appliances. Browse The Home Depot’s Appliances Department for all the appliance brands you know and trust, all at great prices. 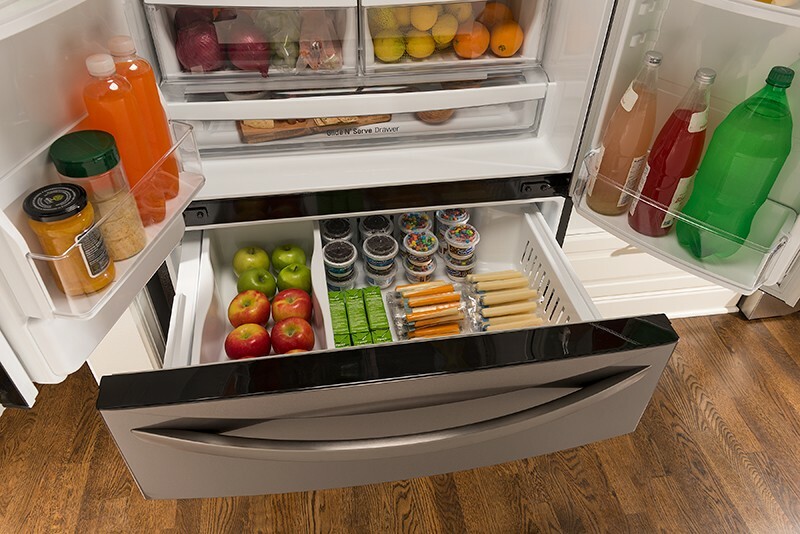 The post 5 Must-Have Appliance Upgrades appeared first on The Home Depot Blog.